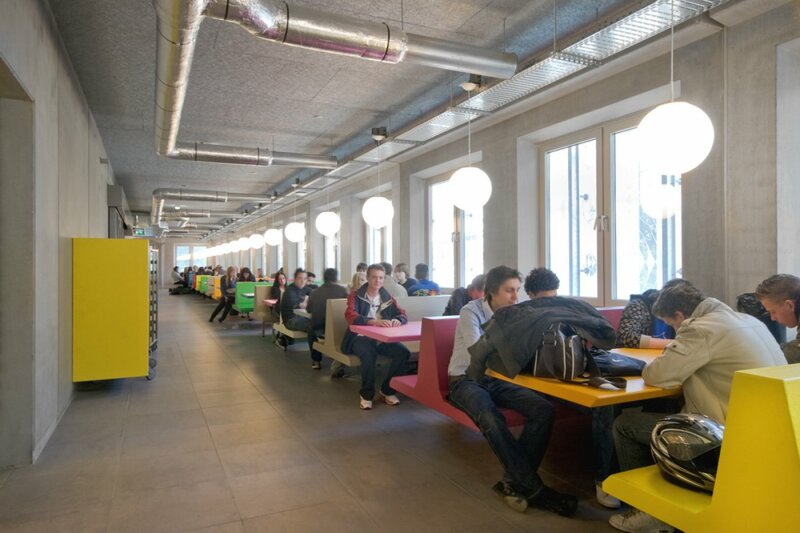 Saxion University holds over 26,000 students, spread across locations in Enschede, Deventer and Apeldoorn. One of the faculties, the Academy of Creative Technology (ACT), consists of de courses HBO-ICT, Creative Media & Game Technologies, Fashion & Textile Technologies (successor of the Higher Textile School) and Media, Information and Communication. 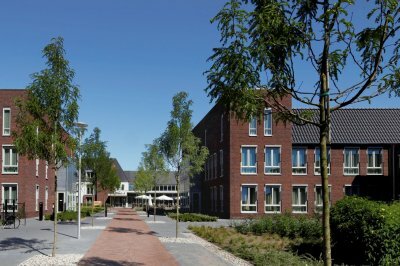 Lack of space because of the growing number of students as well as the fragmentation of courses across multiple locations, prompted Saxion to commission the design of a new faculty building. 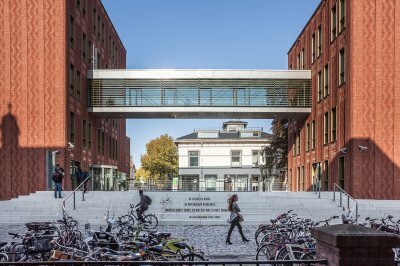 The new building had to be flexible and future-oriented in order to be able to keep facilitating new developments within education. 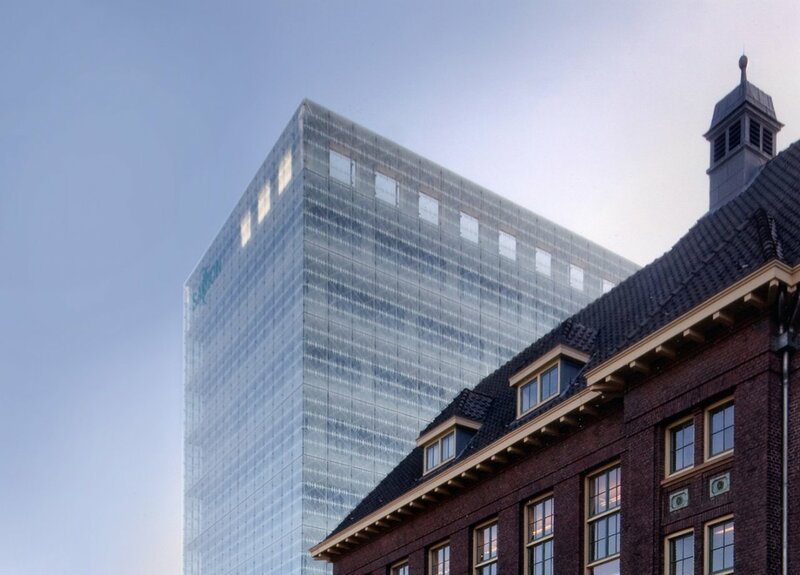 On a small plot next to the De Maere monument, the ten storey building Epy Drost rises up in the Van Galenstraat; a landmark in the Saxion stadscampus, with its soft translucent glass facade. 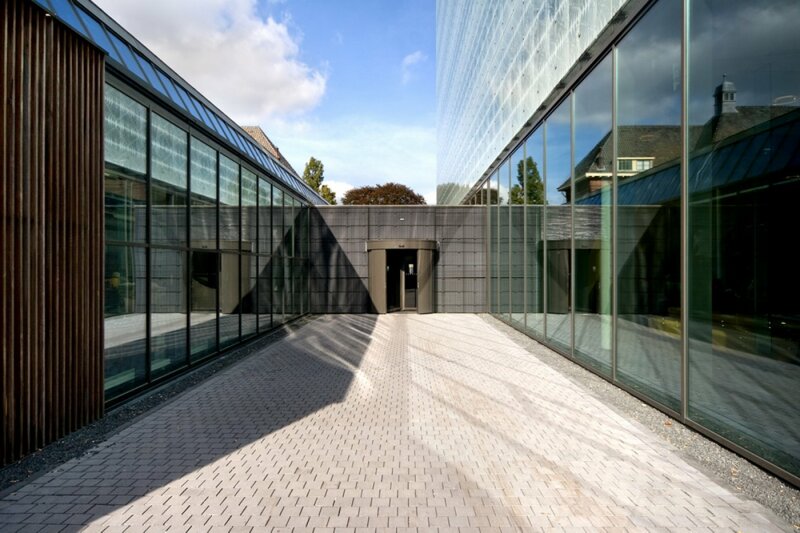 By pulling the facade back slightly at the entrance, a courtyard emerges between the two buildings and a 4.5m headspace at street level creates a welcoming entrance hall which also gives access to De Maere. 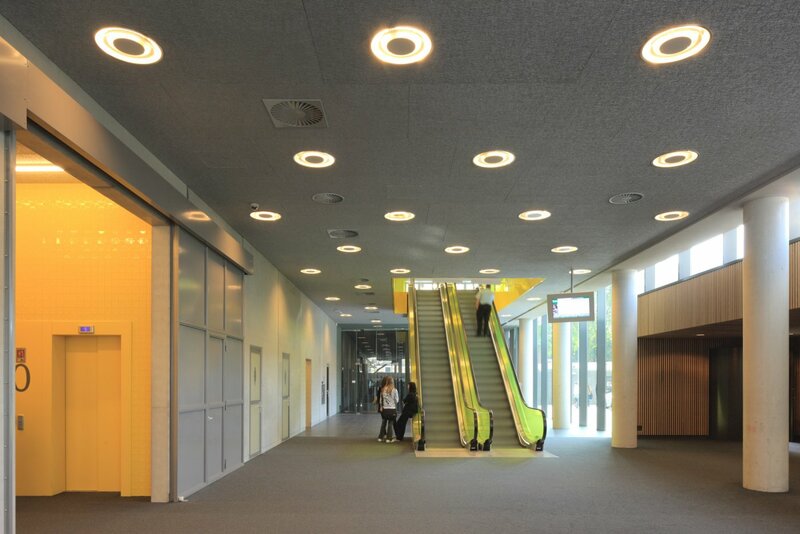 The ground floor is transparent and kept free and open to accommodate meetings, conventions and temporary events. From here, two escalators lead to the restaurant on the first floor. 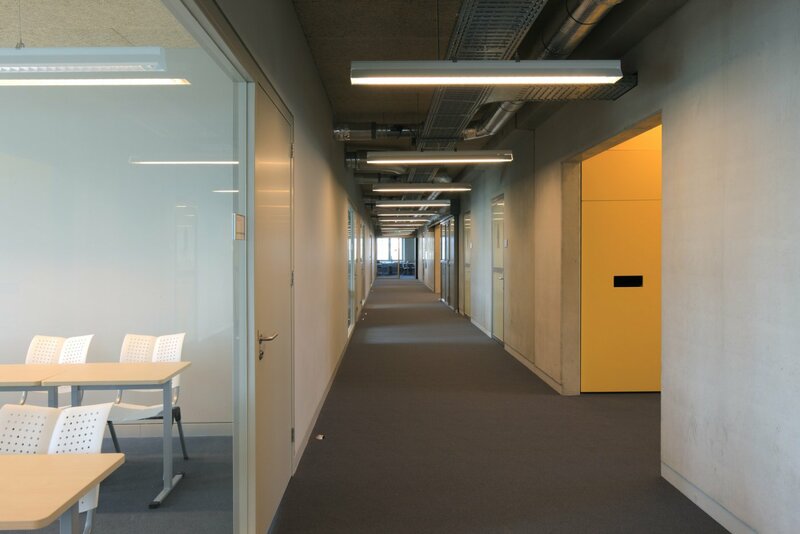 The teaching spaces on the second to eighth floor can be reached by lifts and stairways. 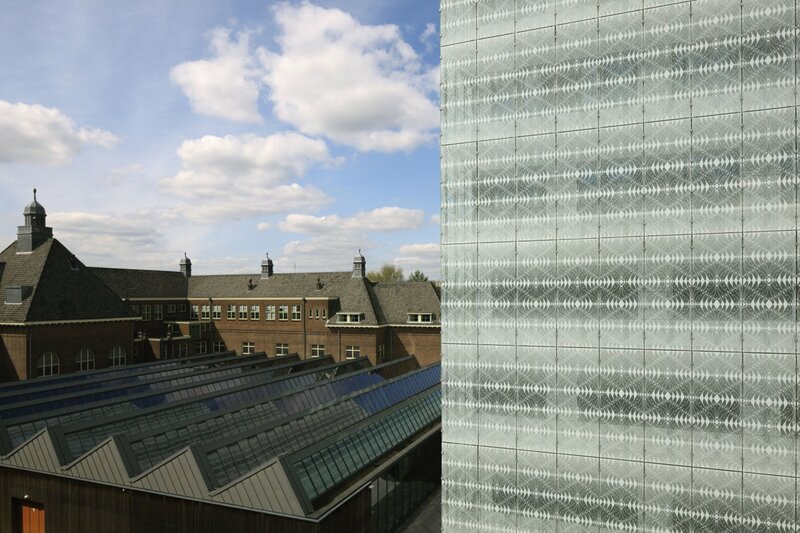 The building is finished off with a large roof terrace, where one can enjoy a panoramic view of the city of Enschede. The silkscreened glass facade serves as a bell jar over the building and gives it a transparent appearance. 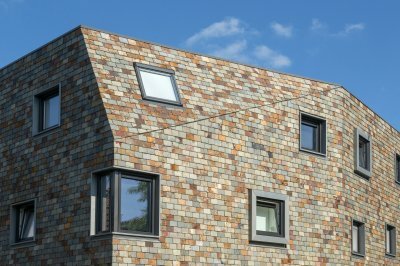 This makes it possible to realise a compact but relatively large building on a small plot in the city. A "normal" facade would give the building a much more massive character, making a high construction such as this one in this particular space, unacceptable on an urban planning level. 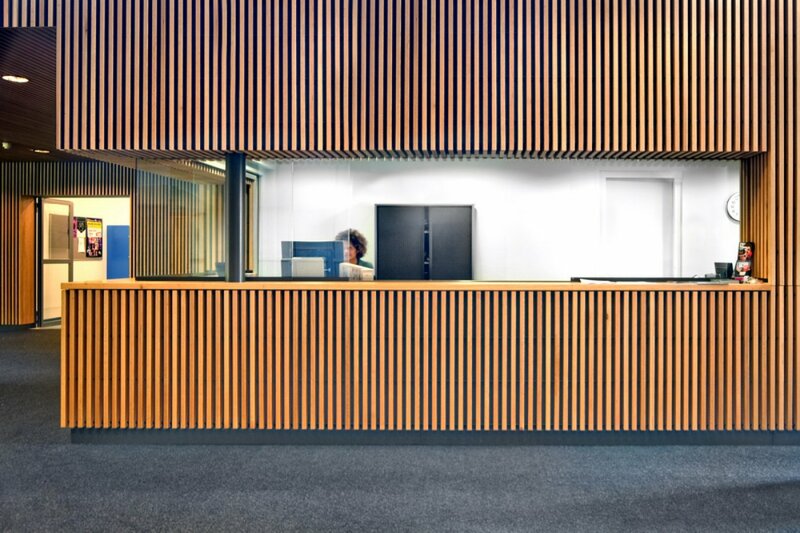 The building owes its layout flexibility to the main supporting structure which consists of load-bearing facades and a core (with stairs, lifts, toilets and pipelines) which is located asymmetrically within the building. 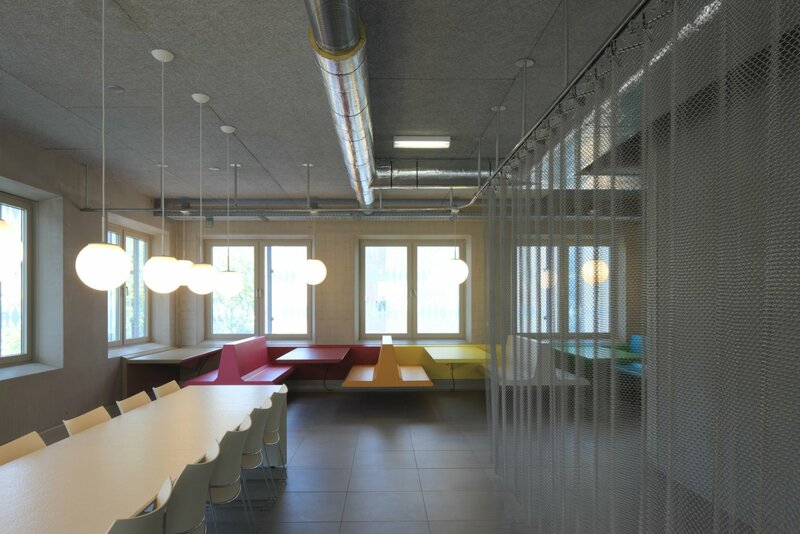 This results in a wide and a narrow strip on each floor, which makes it possible to create educational areas for large and also smaller groups, in a very simple way.